First there was Genesis. Then there was Peter Gabriel, Phil Collins and … Mike and the Mechanics? The Mike part was Mike Rutherford, the Genesis bass player, who put together a sort of session musician supergroup in the mid-1980s. 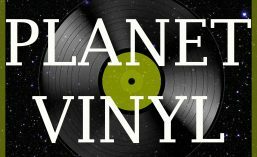 On Planet Vinyl, a band is never judged on its name. But I will admit that for me Mike and the Mechanics presses a lot of off buttons. The name suggests pedestrian, uninteresting, formula. Mechanical, in fact. But the rule here is to put aside prejudice, and just listen. And doing that, there is a lot to like on both sides of this single. “The Living Years” is anthemic pop, a huge hit in this day, but a song I had never listened to properly. I had assumed it was an appeal for world peace – we did that a lot in the 1980s, not always well – but it is actually about conflict on the micro-level, between fathers and sons. It was written by Rutherford, and expresses his regret at not having expressed himself more to his father when he was alive. Probably not the only lad from Surrey to ever feel this way, but a brave song and it sung strongly and with a good arrangement. Not every song can build up to a swelling chorus with a choir backing, Mike carries it off. However, I want to share the B-side, because I had never heard it at all. It is an arch, observational song about a woman the singer is attracted to but who he suspects is a little calculating. No anthem, this, but a bright jaunty pop song with interesting rhythms. I still think Mike Rutherford could have chosen a better name for his band, but the Mechanics did some good things. This record is one of hundreds of titles I have for sale via Discogs. This entry was posted in 1980s, 45 rpm, 7", Pop, Single and tagged Band names, Fathers, Genesis, Mike and the Mechanics, Mike Rutherford, Peter Gabriel, Phil Collins, WEA (label). Bookmark the permalink.